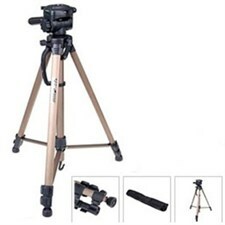 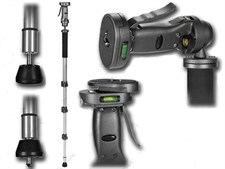 Specially designed for digital camera & digital video camera,this Beginner series tripods integrate casual style tripod and panhead, easy to take down.The tripods are made of aluminium alloy and reinforced nylon with flip leg locking system.Double usage for camera and video,are ideal choice for travelling. 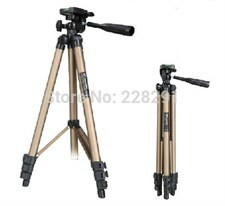 The Monopods WEIFENG are made of light materials and easy to transport resistentes.Son and have a long life. 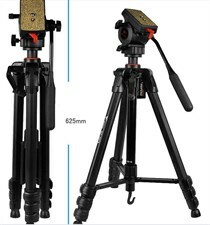 They are great for quick shots and are completely versatile. 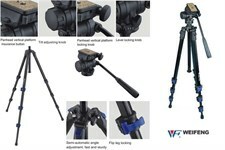 WF-533 Fluid Head Tripod is an aluminum-constructed, lightweight support for your video or DSLR camera that rises to a height of 67". 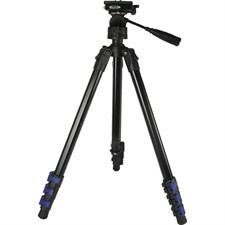 Thanks to its individual leg-spreading capability it's also possible to shoot as low as 10" off of the ground. 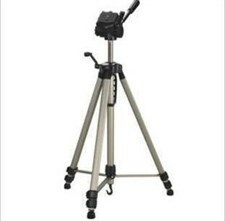 The tripod features a rapid-type center column topped with a single-arm fluid head for smooth camera movements. 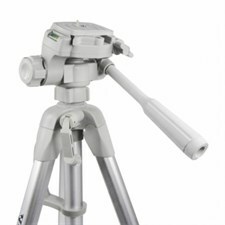 The head features a quick release with 1/4"-20 and 3/8" camera screws and a bubble level.